Sponsor Licence - You may need a licence to employ from outside the EEA. You might need a sponsor licence to employ someone from outside the European Economic Area (EEA) and Switzerland to work for you in the UK. This includes unpaid work, like running a charity. Sponsoring someone doesn’t guarantee that they’ll be allowed to come to or stay in the UK. Please note: Sponsor licences are only available to bonafide companies who meet strict criteria. You cannot use this route to sponsor another individual if you are not an established employer in the UK. UK immigration Solicitors do not assist in sourcing /matching sponsors with employers. We only assist organisations to obtain sponsor licences and employees to obtain a work permit which will allow them to work for an existing sponsor licence holder who is willing to employ them. You’ll need appropriate systems in place to monitor sponsored employees. UK Visas and Immigration (UKVI) will review your application form and supporting documents. They may visit your business to make sure you’re trustworthy and capable of carrying out your duties. These roles can be filled by the same person or different people. You can also appoint an optional level 2 user once you have your licence. This is an SMS user with more restricted access than a level 1 user, for example they can’t withdraw a certificate of sponsorship. Your allocated staff must usually be paid members of staff, or office holders. Read the full guidance on appointing ‘key personnel’. You must have at least one level 1 user who is your employee. You can have other level 1 or level 2 users employed by third-party organisations contracted to provide you with HR services. Your level 2 user can be a temporary member of staff supplied by an agency. You can allocate any of the roles to a UK-based legal representative, apart from the authorising officer role. Your representative must be qualified to give immigration advice or services. You’ll get an A-rated licence if your application is approved. 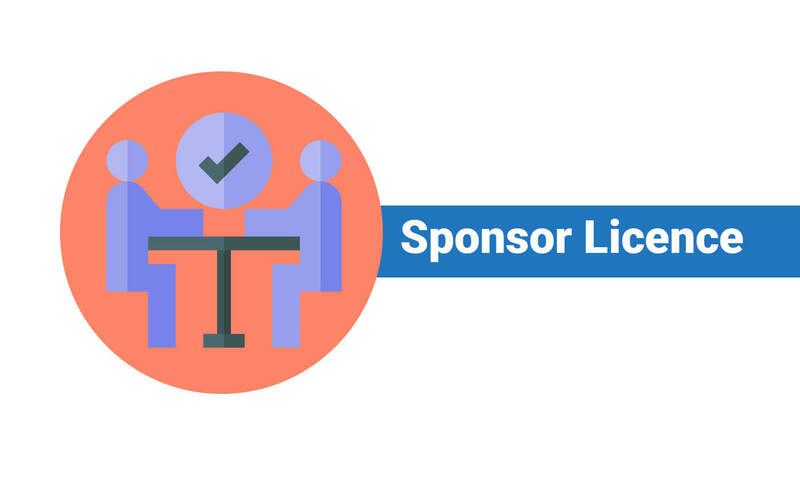 An A-rated licence lets you start assigning certificates of sponsorship. Your business will be listed in the register of sponsors. Your A-rated licence may be downgraded to a B-rating at a later stage if you don’t continue to meet your sponsor duties. If this happens, you won’t be able to issue new certificates of sponsorship until you’ve made improvements and upgraded back to an A-rating. You’ll still be able to issue certificates to workers you already employ who want to extend, or who are switching from a Work Permit. You need to follow an ‘action plan’ provided by UK Visas and Immigration (UKVI) to upgrade your licence. You have to pay £1,476 for an action plan. You must pay the fee within 10 working days of the dateUKVItells you about the downgrade. If you don’t, you’ll lose your licence. You’ll be upgraded to an A-rating if you complete all the steps and there’s nothing else you need to improve. You’ll lose your licence if you don’t complete all the steps. If you need to make other improvements, you’ll be given another B-rating and will have to follow a new action plan. You’ll have to pay the fee again. You can only have 2 B-ratings in the 4 years that your licence is valid. You’ll lose your licence if you still need to make improvements after your second action plan. You can’t appeal if your application is unsuccessful, but you can reapply. You may have to wait before reapplying – the time will depend on your circumstances. You need to start a new application. You have to wait up to 12 months before reapplying if you’ve been fined for employing illegal workers and you lost your licence. You must assign a certificate of sponsorship to each foreign worker you employ. This is an electronic record, not a physical document. Each certificate has its own number which a worker can use to apply for a visa. Certificates must be used within 3 months from when they’re assigned. When you apply for your licence you’ll be asked to estimate how many Tier 2 and Tier 5 certificates you’ll need. These are called unrestricted certificates because you can get as many as your business needs. You’ll need to give evidence that you need the amount of certificates that you’ve asked for. You must apply for restricted certificates for these workers through the sponsorship management system (SMS). You’ll get access to this when you get your licence. There’s a limited number of restricted certificates available each month. Each application is assessed using a points system. Applications are considered on the first working day after the 10th day of the month. This is called the ‘allocation date’. If you apply after the 5th day of the month then your application will be held until the next month’s allocation date. Your application may also be held until the next month’s allocation date so that the details of your application can be checked. Your restricted certificate will appear in your SMSaccount on the allocation date if your application has been approved. You can then assign a certificate to a worker. You can apply again if your application isn’t approved. If the worker has applied for their visa from within the UK, you must pay the charge even if they’re applying for less than 6 months. You won’t need to pay the charge for any of the worker’s dependants, for example their partner or child. You can sponsor a worker if the job they’re going to do has a suitable rate of pay and skill level. If your worker has a Tier 2 (General) or Tier 2 (Intra-company Transfer) visa, the job will usually need to be Regulated Qualifications Framework (RQF) level 6 or above. You must place at least 2 adverts. Follow the rules in the ‘How to carry out the resident labour market test’ section of the guidance for sponsors. The adverts make sure that there are no suitable workers already living permanently in the UK. It must be a genuine vacancy. Each advert must run in the UK for 28 days in most cases, either continuously or in 2 stages. If you advertise in 2 stages, each advert still needs to run for a total of 28 days and neither stage can be less than 7 days. You must be able to show that you didn’t find a suitable worker. You can’t sponsor a child under 16 for a Tier 2 visa. Your licence may be downgraded, suspended or withdrawn if you don’t meet them. You must also tell UKVI if you’re changing your details, like your address or allocated roles. You must also get a letter from their parents giving consent to the care arrangements. You must get a Disclosure and Barring Service check on any of your workers who need it. You’ll lose your licence if you don’t do this. You must get a licence from the local education authority in the area where the child will work.